I’m not so sure I fit into a programme with all these other established and acclaimed authors …. but here goes nothing! 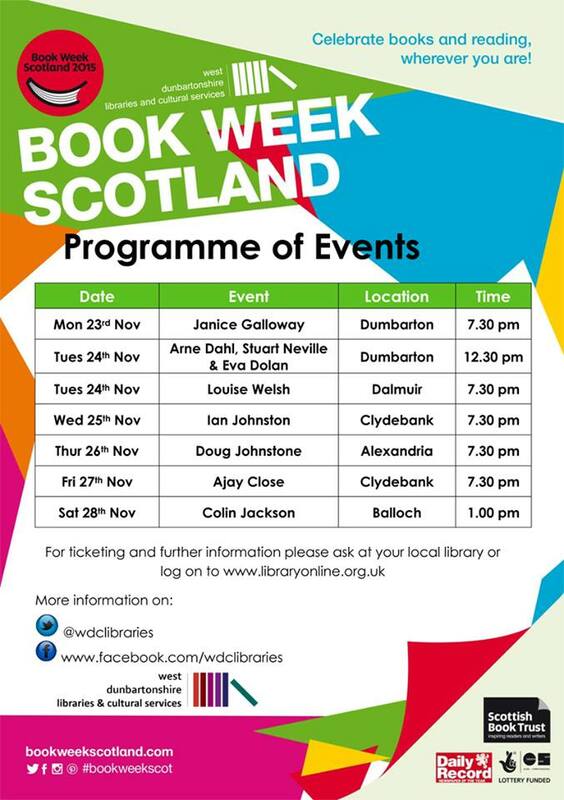 Posted by Cee Tee Jackson on November 26, 2015 in Damp Dogs & Rabbit Wee and tagged Book Week Scotland, Dunbartonshire, library.